Weimar and Nazi Germany is the period 1919 to 1945. The Weimar Republic was established following the First World War. Facing uprisings in Berlin it was based in the safer town of Weimar. A democracy, it faced financial penalties in the form of reparations. Though the republic enjoyed periods of growth, it struggled to deal with the Great Depression. As the economy struggled, Nazism prospered. Through a combination of force, a show of strength, propaganda and simple but strong nationalistic messages, the Nazi’s under Adolf Hitler gained power. Soon democracy had been replaced by dictatorship. The Weimar Republic was established as the form of government in Germany following the abdication of Kaiser Wilhelm II at the end of the First World War. The establishment faced opposition from the off, with unrest in several parts of Germany and political opposition to it’s very existence. Surviving a series of violent insurrections such as the Spartacist Uprising and Kapp Putsch, the Republic was faced with crippling debts from the war alongside the redemption payments. A key feature of German politics in the 1920’s was the manner in which the Government dealt with these issues and the way in which they attempted to tackle the impact of them domestically. The successes and failures of these policies are in many ways mirrored by the electoral popularity of political parties on opposite ends of the political spectrum. Ultimately this led to the appointment of Adolf Hitler as Chancellor of Germany in 1932. Germany entered the First World War as a relatively new unified nation. Germany had emerged under the leadership of Prussian Chancellor, Otto von Bismarck and Kaiser Wilhelm. Economically strong, the state had become an Imperial and Military power. The First World War had a huge impact on Germany. As with all combatant nations, the human cost was high. For Germany, the war led to defeat. While that was hard for many Germans to accept, particularly those who had fought and not experienced a battlefield defeat, it brought about an imposed peace. The Treaty of Versailles set out a wide range of sanctions and reparations against Germany. 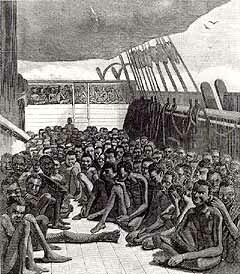 Loss of colonies, demilitarisation and having to accept blame for the war were hard to bear. The shock to national pride was made worse by the economic ramifications of reparations. At a time of economic crisis an economy needs as stable a Government and as broad a consensus as possible. Germany in losing the war, lost her Kaiser. The Second Reich had collapsed as Kaiser Wilhelm II abdicated. A new model of government, a democracy, was introduced. It was born into a maelstrom of opposition. Democracy was introduced into an environment where many wanted anything but. Fighting on the streets of Berlin forced the republic to relocate to the town of Weimar. On the left wing, Spartacists led by Rosenberg and Liebnecht rose, later, the Freikorps briefly seized control in the Kapp Putsch. The Weimar Republic was set up on the lines of proportional representation. This meant that, in general terms, seats in the Reichstag were a percentage of those available based upon share of the vote gained. The republic faced not only the economic consequences of the war but also International isolation. This led to the government trying to force changes to the terms of the treaty and later, under Stresemann’s guidance, negotiating the Dawes Plan. A revival was seen in some areas of the German economy and society in the mid 1920’s. This came to a halt as a consequence of the Wall Street Crash. The economy went into a depression, leaving many unemployed. Economic problems led to increased electoral successes for politically extreme parties. Hitler and the Nazi Party utilised propaganda and coercion to great effect. As other parties failed or seemed indecisive, the Nazi’s grew. Hitler’s rise to chancellor is linked to the Depression, the Treaty of Versailles, the inherent weaknesses of the Weimar Constitution, use of force and the party’s ability to sell their message incredibly well to the wider populace. This led to Hitler’s rise to power. As Chancellor he moved quickly. 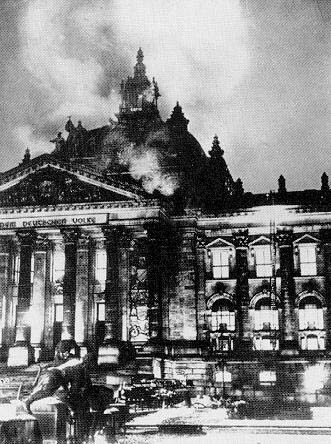 The nazi’s consolidated power after the Reichstag Fire. 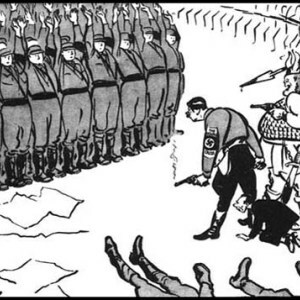 The Enabling Act granted Hitler emergency powers. He used these to eradicate political opposition. When Hindenburg died, Hitler became the Fuhrer. 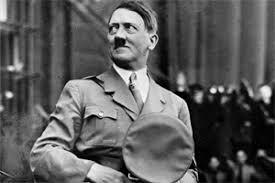 The Nazi Party adopted the Fuhrerprinzip, to all intents and purposes, Hitler alone was the Government. The Nazi regime is remembered for it’s anti-semitism and the Holocaust. It was recorded in Mein Kampf, became a key part of rhetoric in speeches, began to become formal anti-jewish policy following the nazi accession to power and then, during the war, became the Final Solution. The violence of the anti-semitic sentiment was visible. An Anti-Jewish Boycott of 1933 and Kristallnacht in 1938 were both widely reported. Kindertransport was arranged but hampered. Germany under the Nazi’s saw all sectors of society changed. 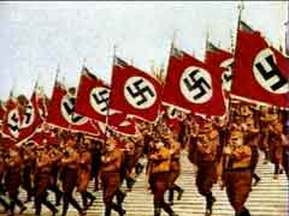 Women had a defined role within the third reich. At school and in youth groups the Nazi’s indoctrinated the young through policy and method. The Hitler Youth movement became compulsory. Hitler aimed to establish pre-Versailles German boundaries. His Foreign Policy not only called for this but also for Anschluss and sought lebensraum, living space, to the east. It was a Foreign Policy mixing national pride, opportunism and aggression. It led to the Second World War.